Sherman Safel is an ageing MI6 field operative whose proficiency of espionage and cold-blooded murder has more than taken its toll on his conscience. 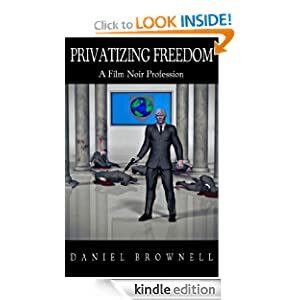 But in a world where global privatization is almost absolute: this old dog must put aside his emotions and screw on his silencer as the world enters its darkest era yet. But what happens when business becomes personal? The book is a long read. Much longer than I'm accustomed to and prolly not made for the ADHD minds of YA readers, but don't be alarmed the book is like a James Bond movie. Thrilling, makes you wonder if the good actually wins in the end, and a great MC anti-hero in the form of Sherman Safel obviously working for MI6 vying to save the world. Essentially he does and does it in style and awesomeness with some wit and sarcasm thrown in.